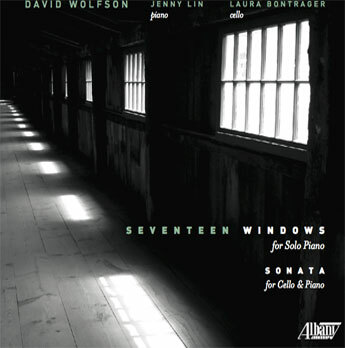 Composer David Wolfson enjoys a particularly eclectic and varied compositional career, which has included chamber music, musical theatre and opera. He studied at the Cleveland Institute of Music and Hunter College and his chamber and solo works have been performed through the United States and Europe. His work Story Salad, a series of stage revues for children, toured the U.S. for 13 consecutive years and was seen by more than a million children, teachers and parents. He has received awards and commissions from the National Endowment for the Arts, Meet The Composer, the Puffin Foundation and the Manhattan Cultural Arts Fund. This first recording devoted to his music includes a work for solo piano and a cello sonata.